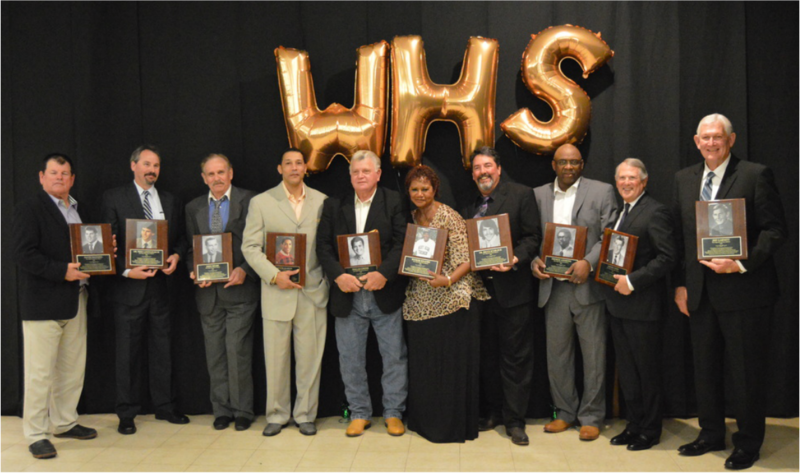 The West High School Hall of Fame was created to bring honor and recognition to West High School by recognizing exceptional achievement from its alumni and staff and to provide a revenue source to benefit current students and school activities. Beyond athletics, nominations of individuals and teams/programs that have displayed exceptional achievement during and after high school are encouraged. All proceeds from the event above our costs are deposited in the West High Foundation, an independent endowment fund managed by the Kern Community Foundation to benefit West High’s current students, teams, and programs. 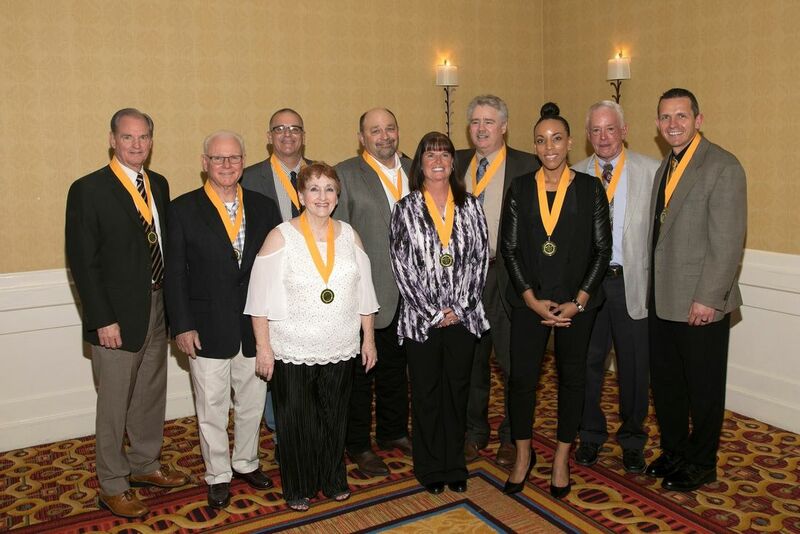 L-R: Cross Country Team Member 1, Dave Titsworth, Tarus Mateen, David Zulfa, Donny Youngblood, Ron Lauria, Van Thurman, Hazel Ellis, Cross Country Team Member 2, Cross Country Team Member 3, Jim Wren, Cross Country Team Member 4, Cross Country Team Member 5, Cross Country Team Member 6, Cross Country Team Member 7, Cross Country Team Member 8, Cross Country Team Member 9, Cross Country Team Member 10. Katie Wolf, WHS alumni, interviews 2018 inductees. Thank you to Mr. Dewey Compton's classes for the video production. Katie Wolf, WHS alumni, interviews 2017 inductees. Thank you to Mr. Dewey Compton's classes for the video production. Interested in helping West High students? Want updates on your favorite WHS programs & events?